We have covered quite a few whiskey-centric events within the confines of the Water of Life series, yet every now and then there is one that stands out. 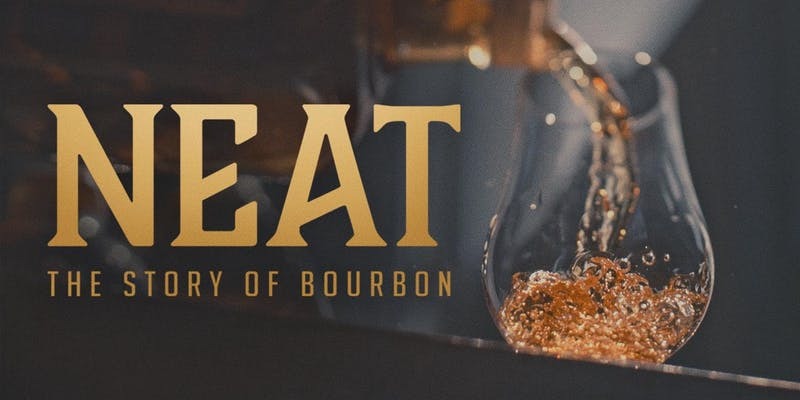 Whiskey Hunt Australia the screening of David Altrogge’s NEAT: The Story of Bourbon, a feature length documentary that dives into the rich and storied world of bourbon. After being proffered an excellently mixed cocktail on arrival in the Golden Age Cinema Bar, we were ushered into what previously was used as an intimate, private screening room for Paramount Pictures. NEAT: The Story of Bourbon is in essence a classy, crafted and thoroughly engaging story about not only bourbon, but the people behind the liquid emissions, specifically characters like Castle and Key Master Distiller Marianne Barnes and third generation Buffalo Trace employee Freddie Johnson. Following the chronological timeline of America’s native spirit, from the distillation of whiskey by early pioneers to the current thriving bourbon environment, distillers from the major American bourbon distilleries move the history along, preaching their love of the spirit along the way, only interjected by actor Steve Zahn’s quips, presenting educational Bourbon fun facts. Not that much cinematographic animation was needed to get your humble narrator into the mood for a Bourbon tasting, but the beautifully shot documentary certainly set the tone for the classy evening that was to ensue and enhanced the appreciation for the history and process of Bourbon making. 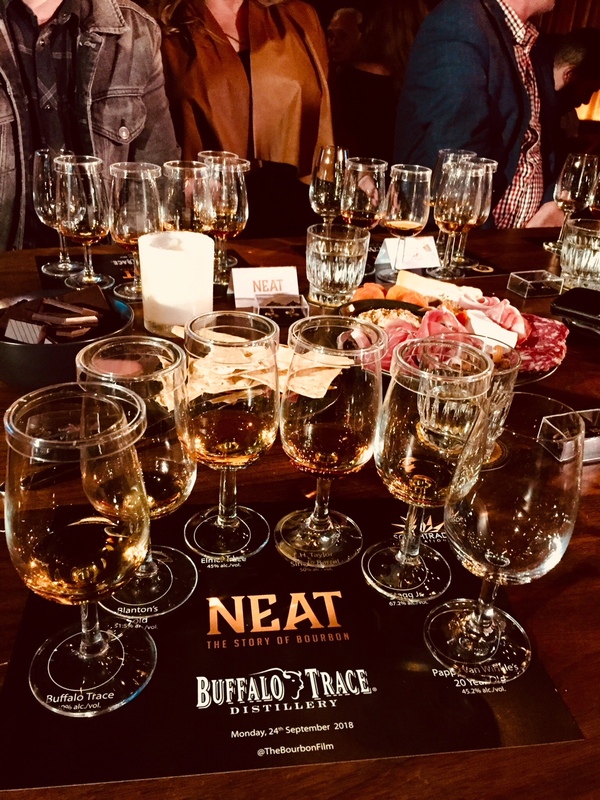 What followed was a Buffalo Trace Distillery masterclass, MC’ed by whisky-phile par excellence Gee David from Southtrade, who took us through some of the Bourbon’s discussed that were discussed in the film, which served as a seamless extension. Proceedings were kicked off with an interesting taste of Buffalo Trace White Dog, with the name being a telling one as it was given to a whiskey of the unaged variant. What normally would prove to be a great cocktail ingredient, set the foundation of the expressions that were to follow. Buffalo Trace itself is a reliable bourbon but things were taken up a few notches with Blantons Gold. Delicioso: A refined Bourbon with predominant vanilla, dried fruits, raisings and citrus notes rounded out with a bit of peppery spice and a full bodied nose. Named after the maverick who gave birth to Buffalo Trace Distillery’s single barrel offerings, i.e. Elmer T Lee, the next expression was a rich and perfectly balanced exercise in what a great Bourbon should taste like. A thing of beauty. E.H. Taylor Single Barrel was next – a fulminant melange of spicy notes based on a bed of oak, leaving an aftertaste of plums, fruits and hints of figs after hitting the palate with its buttery texture. The fact that its long finish is veiled in smokiness only adds to the flavour. Dangerously more-ish. The highlight of the evening was a dram of the incredible Pappy Van Winkle‘s 20 year old. As the tasting was accompanied by cheese and charcuterie boards, the sweetness of the Pappy van Winkle made it a perfect digestif. Nuts, spices, white chocolate and stewed fruits are only a few of the many nuances that serenade this rich and soft bourbon as it caresses once palate with its silky, borderline Cognac-ey sublime oak and custard flavours. It leaves one with a crescendo of honey, prune and pepper . . . and lusting for more. Buffalo Trace Bourbon Cream set a counterpoint to the previous drams, with its cholocate-y, vanilla-ey character that culminated with a kick of cinnamon. An evening that was a masterfully executed ode to everything Bourbon, tackling all senses in equal measures.